One of the most important roles that I play is that of Driver Sweet Mother to my son. I take him to school and pick him up every day, and while that totals only about 50 minutes of driving time each week, it’s still driving, something that I have never been super fond of doing, but have to do anyway. I am glad that I learned how to drive, though, and that MrC pushes me to go out there and get myself to where I need to go instead of relying on him all the time. It gives me a certain sense of freedom, and that feeling of empowerment, too. Admittedly, my driving skills don’t compare to those of my friends who are in charge of road trips out of town or regular trips to Divisoria. I can’t even go past Estrella on EDSA. My driving limit is from Alabang to Makati/BGC only, and I’ve never gone south-bound on SLEX. But that’s still a lot more that those who don’t get behind the wheel at all, right? I know it takes guts and nerves to be a driver, especially a female driver, on our crazy streets, and that’s why, for me, driving is an empowering thing. This is also why I totally love the concept of the Chicdriven Women Empowerment Expo, which is happening on March 28-30, 2014 at the Alabang Town Center Atrium. I got super excited when my friend, Michelle, invited me to join her at the launch brunch for this event a couple of weeks ago at Romulo Cafe in the super new Azumi Boutique Hotel. 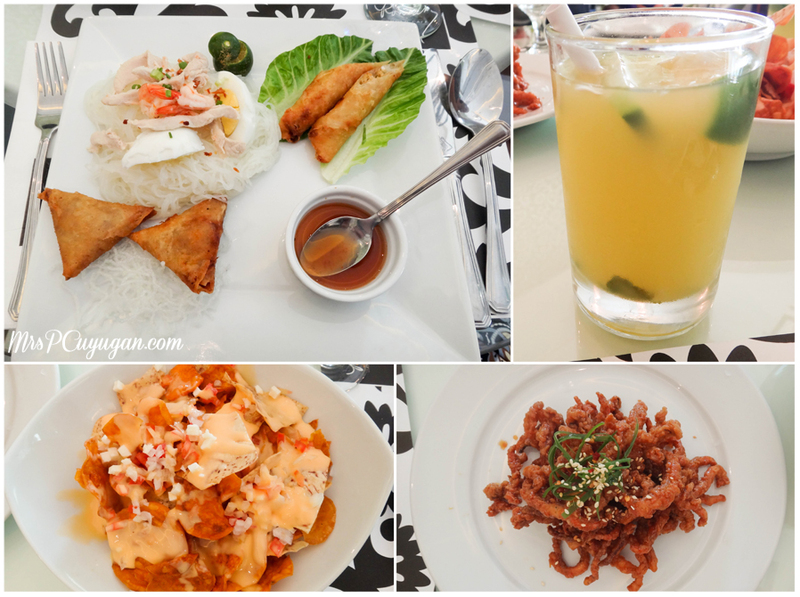 I was hitting three birds with one stone – attending a blogger event, checking out a new staycation prospect (which I will write about in a separate post), and trying a new restaurant (which I will write about after a second visit with the boys). Host, Issa Litton, welcomed us as we arrived, and after a hotel tour, lots of storytelling with my new-found south mommy blogger friends, and a really yummy brunch, she and Jeanette Tuason started talking about the upcoming event. What does it mean to be Chicdriven? The whole Chicdriven idea sprung from Jeanette’s column of the same name, which basically is all about motoring but in women-speak. I love how she has been able to put something so manly – cars – into words that a girl like me would understand. Like, instead of describing a car based on how many cylinders it has, she would talk about how many strollers would fit into it. She describes Chicdrivers as women who can have it all. Being Chicdriven means striving for the best despite humps and hurdles and pulling it off, not necessarily in an effortless fashion, but definitely still keeping it chic. Don’t you just love it? In celebration of International Women¹s Month, Zest Asia Inc. has organized the Chicdriven Women Empowerment Expo happening in Alabang Town Center Atrium on March 28-30, 2014. This community development event aims to arm women with the different tools, information and skills to help them achieve having it all, the Chicdriven way. Inspired by the overwhelming response to the Chicdriven Column in Philippine Daily Inquirer Motoring section, this celebration of women empowerment is supported by Alabang Town Center, Bridgestone Tires,Toyota Motor Philippines. The expo offers free seminars and workshops on topics such as road safety, auto maintenance, fashion, beauty, parenting, life balance, health and wellness. Other highlights include the Electrolux cooking demo By Chef Bruce Lim, and a Makeover station by BYS cosmetics. Partners including Standard Insurance, Marie France, Brabantia, Garden barn and Tuason Racing School will offer exciting booth demos and workshops during the expo. “We wanted to make an event that will bring together different women’s group and advocacies in one celebration. We want the community to be engaged as active participants and not just passive spectators,” explains Jeanette Ipapo-Tuason, author of the Chicdriven and organizer of the expo. “Each seminar represents an advocacy and is co-hosted by a civic or advocacy group such as Zonta Club Alabang, Mommy Mundo, and parent’s associations of the different schools in the south.” she added. The Chicdriven Women Empowerment Expo will run from March 28-30, 2014 at the Alabang Town Center Atrium and will be open during mall hours. The event is also supported by Fringe Salon, Fitness First, Melissa and Doug, Ogalala, Safety 1st, Pigeon, and Gluta White, Has Travel.com. Media Partners are Metro, Working Mom, Chalk, Lifestyle Chanel, E! and Motioncars.com. I am so sold on this, I tell you, and I’ve already blocked off the event dates on my calendar. I totally need to attend the sessions on road safety and auto maintenance. Not that I’d really do the maintenance myself, but it would really help if I could actually understand what my service adviser at Ford tells me when I bring the car in, right? I really hope to see you guys there, especially those of you who live in the south! For seminar schedules and more info, you can visit Chicdriven on Facebook or email jnt@chicdriven.com. I wish I was able to go there! The location kasi is too far from where I live. It would have been nice to meet you in person. This is something that i really encouraged my wife to learn, to drive. I even accepted her condition of changing our car from a Manual Transmission to an Automatic Transmission car. And now she drives! Hurrah! This is such a nice event! I hope they also do this in malls at Quezon City because Alabang Town Center is so far from me. The moment I came here in Thailand I noticed right away, almost all females here drive either a car or a motorbike. This is something that Filipino women should learn. I totally agree, being able to drive gives me a sense of empowerment and independence. It does seem like a great event to be at. I’ve only been recently pushing out my comfort zone as I’ve been totally reliant on my hubby from the time I met him. I need to re-empower myself since my husband’s schedule can barely accommodate driving us to the kids’ activities. If I limit myself, I limit my children as well. Sayang, Alabang…sana meron BGC. 🙂 But will see. Who knows, I just might be around Alabang on those days. Driving… something I am very, very scared to do. But, I know I have to do it one day to bring my three kids to school. Gosh! How did you overcome? I figured that this was for Women’s Month. I hope you’ll get to learn a lot from the seminars. And by the way, the food you posted looks so good. this is a great event and I hope they have this every year too! !